One the largest vehicle-specific engineering, manufacturing, assembly, and service companies in the world. 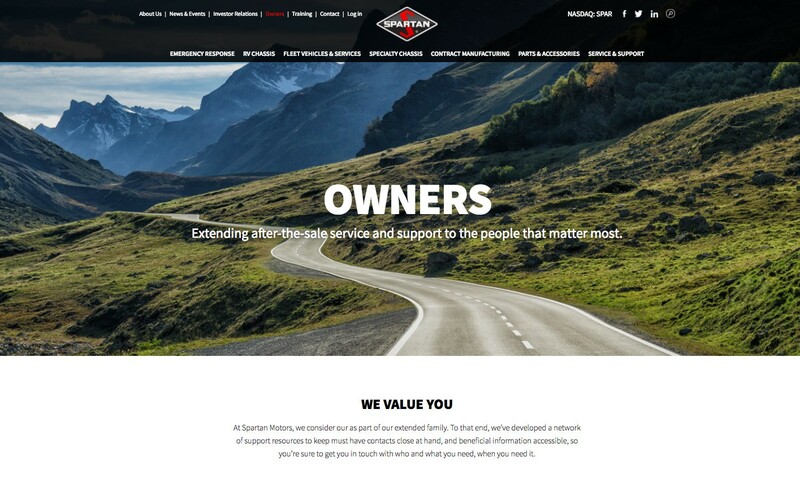 Spartan Motors (NASDAQ: SPAR) a leading automotive manufacturer of Emergency and Fleet Vehicles, was looking to consolidate over a dozen websites spread across several business units and update their overall web presence. 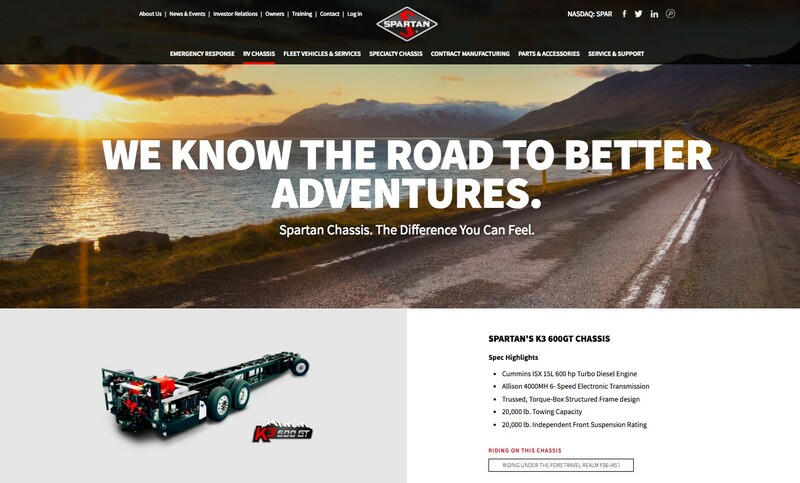 Spartan Motors Manufacturing Company wanted to rebrand all of their business units with a clear and consistent look and feel across the board with a responsive, mobile-first development. Formcode worked with the Spartan team to plan out and consolidate hundreds of web pages spread across 15+ websites. This included rewriting of content and new photography. 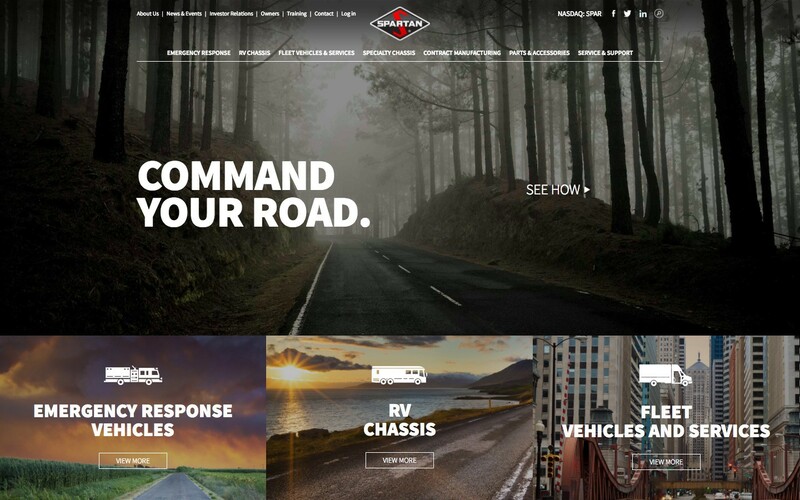 The overall goal was to make the Spartan Motors brands accessible in one website and drive consumers to a purchase decision. We achieved this by strategically placing calls to action at key points allowing the user to “raise their hand” and begin the conversation. Overall, we helped consolidate, organize, rebuild and relaunch a new corporate website as one cohesive business unit. Headquartered in Charlotte, MI, Spartan Motors is a publicly traded company established over 41 years ago and one the largest vehicle-specific engineering, manufacturing, assembly, and service companies in the world. 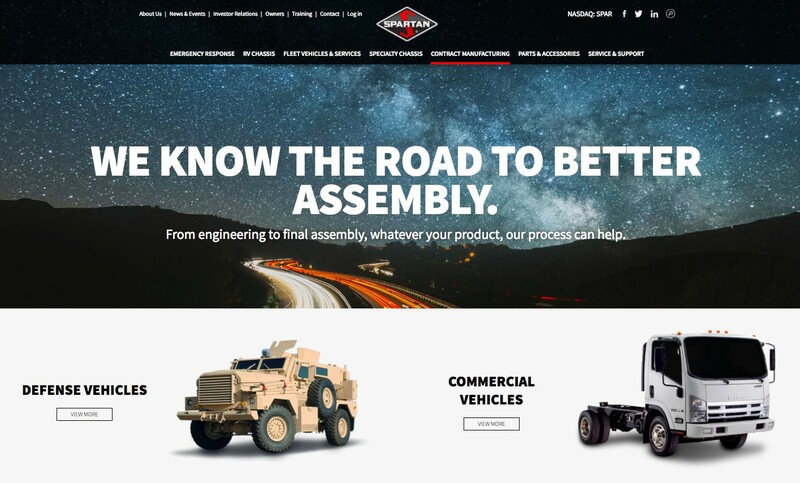 Spartan Motors manufactures Emergency Response and Fleet vehicles, as well as specialty chassis for the RV (recreational vehicle) and Defense industries.